For bitcoin traders, 2019 is starting to look like a repeat of 2017 in more ways than one. While that might be a slight exaggeration (though bitcoin's sudden surge over $5,000 last week was certainly a welcome relief from more than a year of market doldrums, even sending the moribund bitcoin futures market higher), a headline that hit the tape this morning is bound to provoke comparisons to bitcoin's heyday, when Chinese authorities briefly provoked a panic in the market by abruptly cracking down on crypto exchanges operating in the country, part of a campaign to bring the cryptocurrencies trade under state control. Late Monday, China's National Development Reform Commission listed crypto-mining among industries it intends to eliminate because of its environmental impact. The agency will allow public comment on the guidelines until May 7, but warned that they could take effect as soon as they are issued. As Bloomberg reports, China was once home to more than 90% of bitcoin trading and 70% of mining, thanks to notoriously cheap subsidized energy, particularly in the countryside. But after a crackdown began in 2017, most of the big mining pools in the country - including Bitmain - decamped for abroad, setting up mining pools in Canada and elsewhere. Back in 2018, Beijing reportedly asked local authorities to try and push crypto miners out. Still, according to a consultant who spoke with Reuters, roughly half the bitcoin network is probably still located in China. And Chinese companies remain the largest manufacturers of bitcoin mining rigs. One blockchain investor said China's decision to finally ban crypto mining outright was probably part of a push to "reboot" the crypto industry to bring it under state control. "The NDRC’s move is in line overall with China’s desire to control different layers of the rapidly growing crypto industry, and does not yet signal a major shift in policy," said Jehan Chu, managing partner at blockchain investment firm Kenetic. "I believe China simply wants to ‘reboot’ the crypto industry into one that they have oversight on, the same approach they took with the Internet." 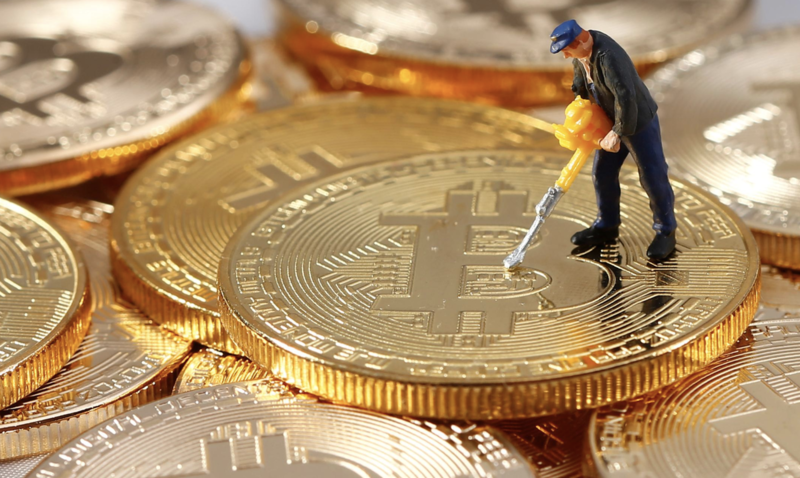 As Reuters pointed out, three Chinese makers of bitcoin mining equipment filed for IPOs in Hong Kong, but two have allowed their applications to lapse. In any event, any miners who are still operating in China will likely follow their peers abroad. Which could be a boon for Canadian ghost towns with access to abundant power sources who are looking for a tech revolution to save their ailing communities.